← Building Blocks of Merit and Significance. Flags are flapping in an Oklahoma breeze out front of many houses in my neighborhood today. As I drove by a cemetery this morning small versions of the Stars and Stripes seemed to cover the landscape. It’s Memorial Day when we remember and honor all soldiers and their service, especially those who lost their lives defending our country. As I sat here in front of my computer browsing, reading and being emotionally touched, I was moved to offer a sense of my reverence and gratitude here. What hit me most was when I began to read about particular individuals. Many of those stories touched my heart. I picked one to share about a man who died in the war my generation fought: Vietnam. (written before his death in battle). 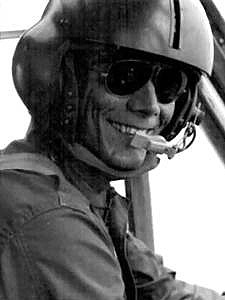 Michael Davis O’Donnel Captain, Pilot, whose last known activity was March 24, 1970 was from Springfield, Illinois. He was promoted to Major once considered MIA. A reconnaissance team engaged an enemy force in Cambodia for three days and asked for extraction. Captain O’Donnel and his crew flew to the rescue. The pilot, ignoring his own safety, was attempting a rescue when his helicopter was hit by enemy fire then crashed and burned. Had the drawing for draft numbers come up differently I could easily been one in the 70’s who served but did not come home to see family and friends again. Never will I think war is a good thing, but always I will greatly appreciate, respect and honor our warriors. With humble gratitude to Capt. O’Donnel and all who have severed (and the families who endure loss and all the grief of war) I say “thank you”: small words but expressed with deep conviction and gratitude. by forwarding today’s blog to others. Thank you! This entry was posted in Country, People, Sadness and tagged Death, Memorial Day, War. Bookmark the permalink.